Goodbye traffic jams, SkyTran is here! These futuristic shuttles have become a reality thanks to Doug Malewicki, a veteran from NASA’s Apollo project. What exactly is a SkyTran? 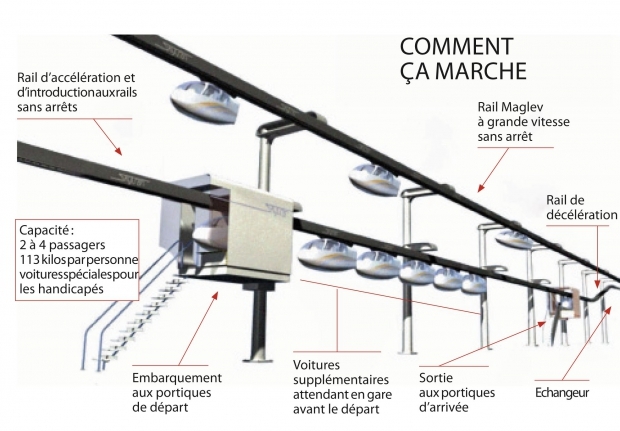 Small cabins for 2 to 4 passengers suspended along a rail 6.5 metre above the traffic using Magnetic Levitation (Maglev). 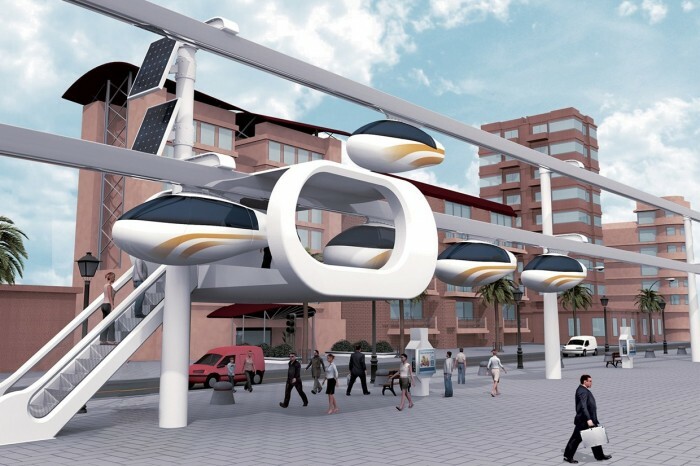 SkyTran will finally be tested in the Israeli city of Tel Aviv after several years of research by NASA. This mode of transport is ecological (running on electricity), practical (the shuttles can be ordered in advance online) and fast (250 km/h). The 200km circuit linking the centre of Tel Aviv to its suburbs, built with a €58 million budget, will be unveiled in 2016. Initially targeting students, project employees and curious visitors, the ticket will cost €3.6 with a wide range of reductions. Similar projects are being considered in France (Toulouse and Paris Airports), India (Kerala) and the United States (San Francisco Bay).